American Ulysses: A Life of Ulysses S. Grant. Ronald C. White. New York, NY: Random House, 2017. Theodore Roosevelt, a man who held the unique distinction of being both an historian and a president, once wrote of American history, “Mightiest among the mighty dead loom the three great figures of Washington, Lincoln, and Grant.” Roosevelt’s words would come as a shock to most Americans today. Although Grant’s reputation has undergone a rehabilitation in the last two decades, he hardly ranks among great American leaders in the minds of all but a handful of historians, and the popular conception of Grant as an inept drunk still lingers. In recent years, however, a series of biographies have come forth to make the case for Grant as a worthy member of the pantheon of great Americans. Ronald C. White, author of an acclaimed Lincoln biography, makes a magnificent addition to this literature with American Ulysses, a work that goes beyond others in analyzing Grant the man, unpacking his evolving political and religious views and showing how his character served the nation during some of its most tumultuous years. The Grant that emerges from these pages is a man not only worthy of admiration, but one who is remarkably relevant to the twenty-first century. Strategists will find the vexing problems Grant grappled with familiar - civil-military relations in turbulent times, pacifying an unruly population, and the limits of what military force can accomplish. All Americans can also benefit from getting to know the man that White has illuminated, a man who, though imperfect, served his country faithfully with a depth of character and integrity that impressed even his enemies. Grant was the unlikeliest of heroes at the outbreak of the Civil War. After a middling stint at West Point, he earned praise for his courage under fire in the Mexican-American War. However, his military career came to a disastrous end when he resigned his commission amid rumors of drunkenness on a distant Oregon station. After a series of failed business ventures, he wound up working at his brothers’ leather goods store in Galena, Illinois. His life by the late 1850s was, at best, a disappointment, with both his father and father-in-law disgusted at the promise he had seemingly squandered. White avoids overselling the rags-to-riches aspect of Grant’s life, noting, for example, that he was a welcome asset to the family business and hardly a charity case. Nevertheless, his first four decades brought frequent setbacks and challenges, and American Ulysses pinpoints this period as a vital season in forging the character that enabled Grant to excel on the battlefield. He learned determination, but he also learned not to be afraid of failure. His willingness to take risks against the enemy – the “moral courage” to make a decision and press forward with it – that first appeared at Fort Henry and climaxed in his relentless campaign against Robert E. Lee distinguished him from most of his peers in the Union army. 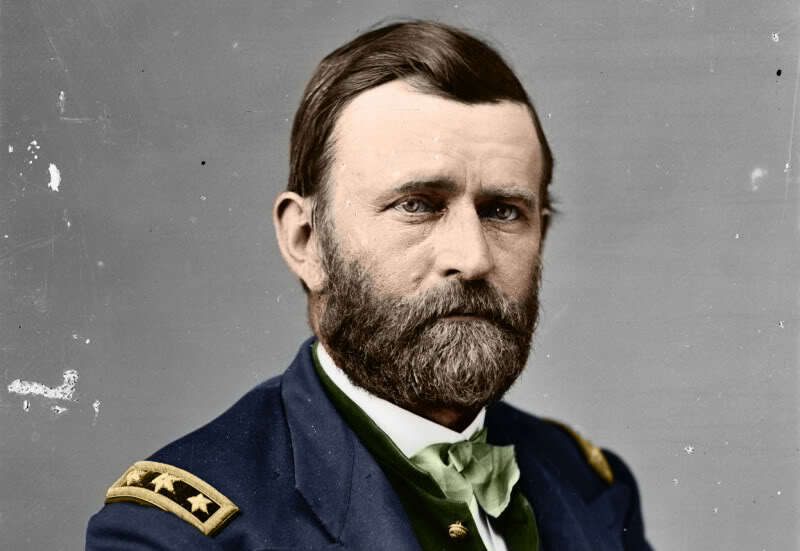 Beneath a gentle, unassuming nature, Grant possessed one of the timeless qualities of military greatness regardless of changing technologies or geopolitics: he had a willingness to fight, and fight tenaciously, despite the risks. On the battlefield, Grant excelled, but in the political realm he was far less comfortable. Grant generally held a dim view of politicians. He avoided Washington, D.C. throughout the war, finding most everything about the city distasteful (a sentiment he never entirely lost, even after two terms in the White House). The one exception was Abraham Lincoln, a man for whom he developed a deep admiration and then affection. His relationship with the president inspired no yearning for political office though. “I am not a politician, never was, and never hope to be,” he wrote to one correspondent during the war. Yet it was Grant who grasped the political dimensions of the conflict in a way that no other general was able to, with the possible exception of Sherman. American Ulysses credits Grant with doing more than any other to win the war because he built strategy around political issues. He recognized early the importance of emancipation. Throughout 1864, Grant planned events on the battlefield with an eye towards the presidential election. Most of all, Grant grasped that the South’s center of gravity was its armies in the field, not its capitals or even major cities. White breaks no particularly new ground here; several biographers have highlighted this aspect of Grant’s leadership. But he tells the story beautifully, and the message that the battlefield can never be separated from politics is a lesson worth repeating. The height of Grant’s career came with his magnanimous treatment of Robert E. Lee’s army at Appomattox. Yet, in the months that followed, Grant’s views of the postwar settlement evolved in response to escalating violence against freedmen. Although it was he who set the tone for a mild Reconstruction policy with his generous terms, Grant’s perspective underwent a near-complete transformation as he watched the violent backlash against former slaves by the supposedly beaten South. He became increasingly vocal about the need for a firmer military presence in the former Confederate states. For this, an earlier generation of historians viciously attacked his competence and even his character. White, in keeping with a generation of scholarship that has transformed our understanding of Reconstruction, takes the opposite view. American Ulysses praises Grant for quietly leading the way to a Reconstruction policy that improved protections for freedmen, even at the cost of delaying the full restoration of the Union. 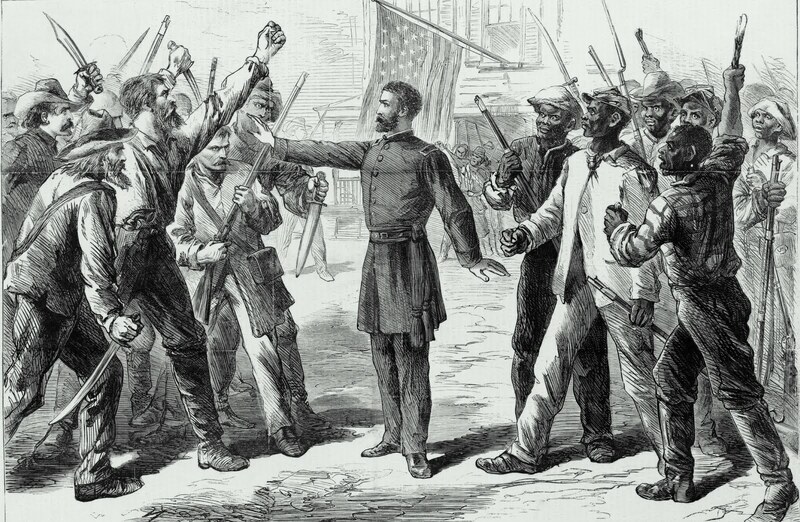 Grant’s changing convictions on Reconstruction policy, and his efforts to build support for a harder stance against the South, put him in a difficult position from a civil-military relations standpoint. At first, Grant tried to maintain the same loyalty to Andrew Johnson that he had shown to his predecessor, but as the battle over Reconstruction policy between the president and Congress became more and more heated, Grant found it impossible to stay neutral - and no one was interested in letting him. Johnson, Radical Republicans, and even Democrats eagerly sought to ally themselves with the victorious general’s enormous popularity. As the senior military commander, he avoided criticizing Johnson (letters to his wife were another story) and he remained silent on Congressional elections. He did, however, make his assessment of the situation in the South known to both the administration and Congress, in emphatic terms. He also directed officers stationed in the former Confederacy to defend the rights of African-Americans to the full extent of their authority, even ordering generals to hold Southerners who committed acts of violence against freedmen indefinitely when Johnson refused to grant the Army authority to hold military tribunals. Ulysses S. Grant and Schuyler Colfax campaign banner, 1868. In his telling of the period between Lee’s surrender and Grant’s election as president, White never dwells at length on civil-military norms or the interplay between generals and distant (in perception if not in mileage) politicians. Such abstract themes would distract from writing a compelling narrative aimed at a broad audience. Still, readers engaged in thinking about contemporary military policy and strategy would have no trouble seeing the relevance in Grant’s life. Generals frustrated by stability operations rather than straightforward conventional battles, or politicians who struggle to understand the situation on the ground in a (supposedly) conquered territory are nothing new. Grant navigated this minefield reasonably well without violating civilian control, even when it was sorely tempting to do so. His life offers an instructive model. Ultimately, however, Grant concluded that he could not secure the war’s gains while remaining a general, and in 1868 he left the Army and agreed to stand as the Republican candidate for president. “I have been forced into it in spite of myself,” he wrote to Sherman, “I could not back down without…leaving the contest for power for the next four years between mere trading politicians, the elevation of whom, no matter which party won, would lose to us largely the results of the costly war which we have gone through.” Grant was hardly the first politician to claim he was reluctantly assuming the mantle of leadership, of course, but White makes it clear he must rank among the sincerest in his protests. While a prior generation of historians fixated on Grant’s inadequacies as president, this study shifts the lens to the ways in which the intractable problems facing the nation brought Grant grief. His eight years in the White House were among the most unpleasant of his life. Of course, White does not entirely absolve him of blame either, noting that his trusting nature, combined with the spirit of the Gilded Age, ensured that scandals repeatedly rocked his administration. Even so, Grant’s desire as president to ensure equality for African-Americans failed. While an earlier generation of historians blasted Reconstruction for oppressing the South, today it is regarded as a complete failure for the opposite reason: its failure to secure the lasting rights of freed slaves. White takes a more nuanced view. He, like Grant, recognizes the limits of what was possible at the time. Grant brought real stability to a region wracked with violence at the outset of his administration; anything more would have required years, perhaps decades of military rule. However noble the objective, there are good reasons such a course was untenable. It is fair to ask if there was anyone else who could have done better than Grant, and perfectly reasonable to conclude that the answer is no. It is fortunate that America is rediscovering the man who, alongside Lincoln, won the Civil War. Like Grant, we face daunting challenges balancing the brutality of war with our compassion and humanity, understanding how to simultaneously defeat and win the loyalty of an enemy, weighing honorable desires against the dangers of excessive federal power, and determining the proper role of the military in society. In Ulysses S. Grant we find a patriot who wrestled with all these challenges and, despite his stumbles, boasts a number of impressive successes. Insofar as American Ulysses brings his virtues to the attention of a wider number of Americans, it will be a welcome addition to the literature. Thomas Sheppard earned his doctorate in military history from the University of North Carolina. He currently lives in Washington, D.C. where he writes on politics, foreign policy, and history. The views expressed here are solely his own and do not reflect those of any other agency. Ronald C. White, American Ulysses: A Life of Ulysses S. Grant (New York: Random House, 2016), ix. Joan Waugh, U.S. Grant: American Hero, American Myth (Chapel Hill, NC: University of North Carolina Press, 2009). Smith, American Ulysses, 370, 413, 549. White, American Ulysses, 359, 386. Gregory P. Downs, After Appomattox: Military Occupation and the Ends of War (Cambridge, MA: Harvard University Press, 2015), 251.